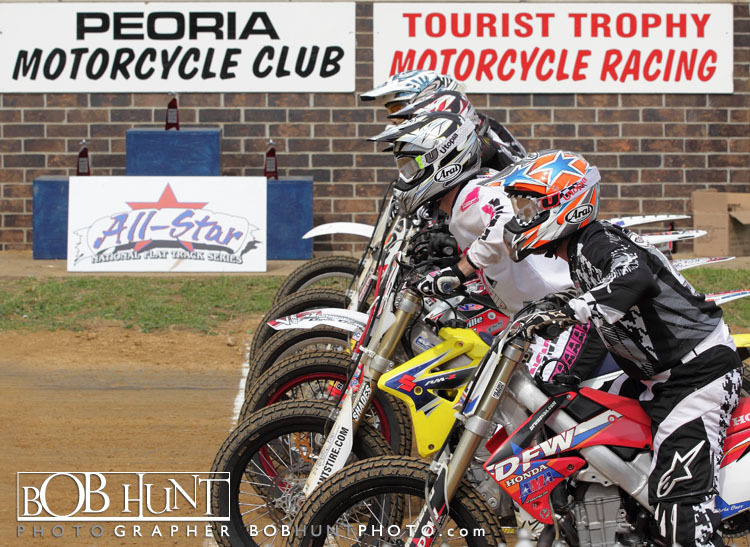 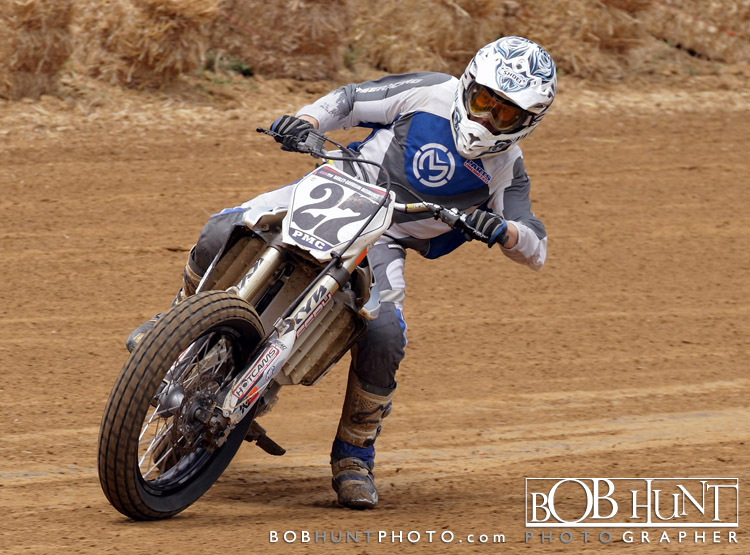 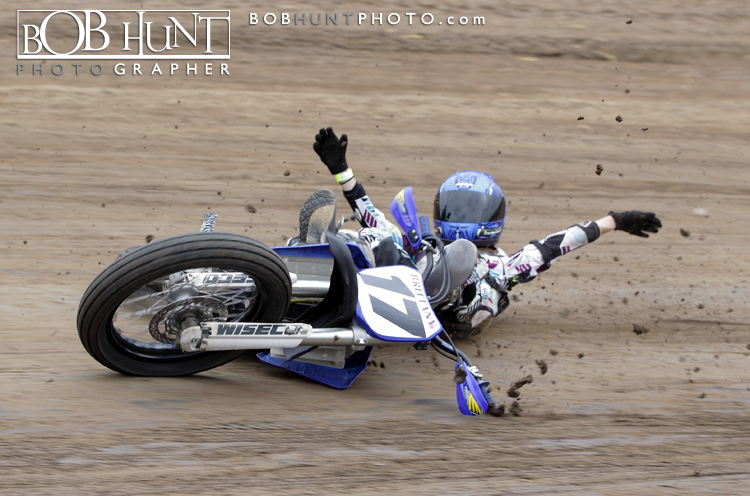 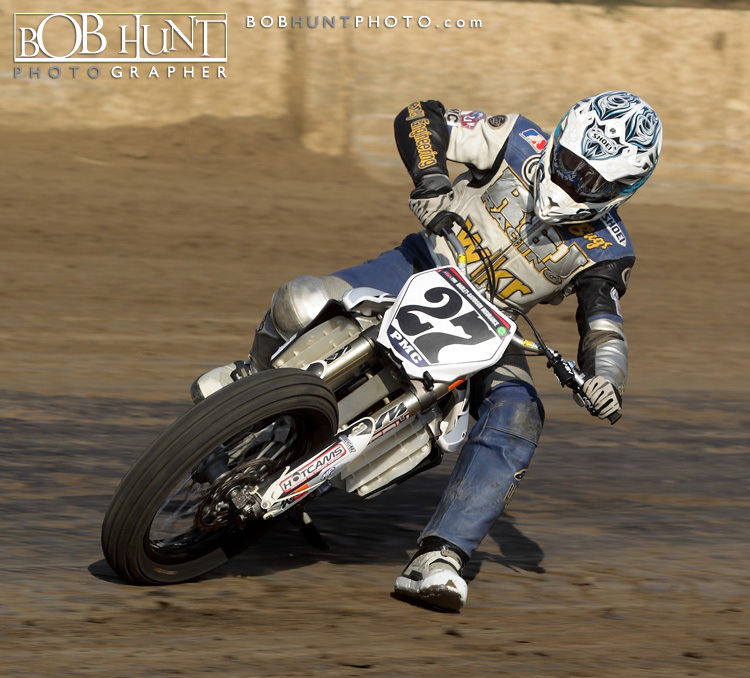 Henry Wiles picked up his seventh consecutive victory on Sunday at the famed Peoria Motorcycle Club racetrack. 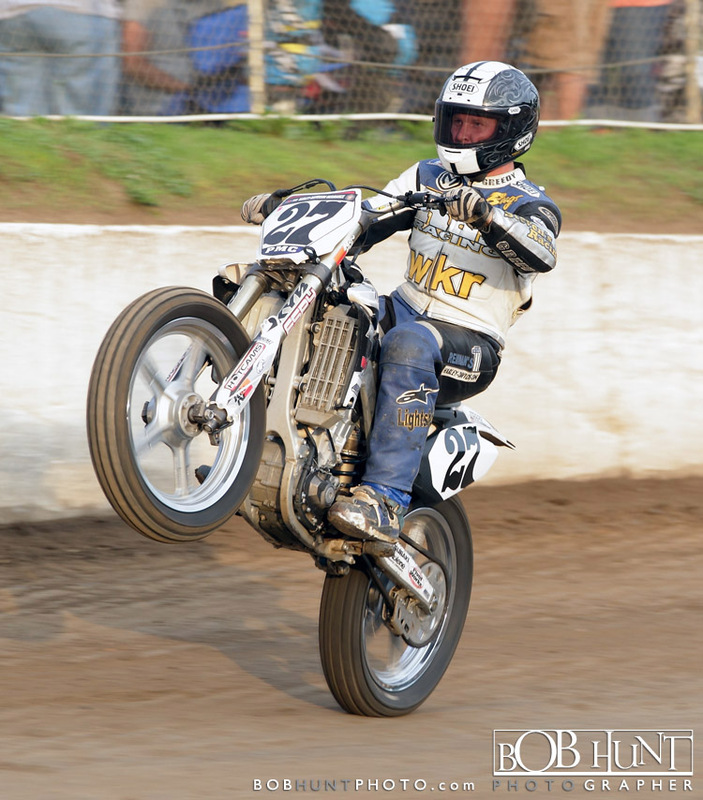 Wiles had reconstructive surgery on his left knee just four months ago. 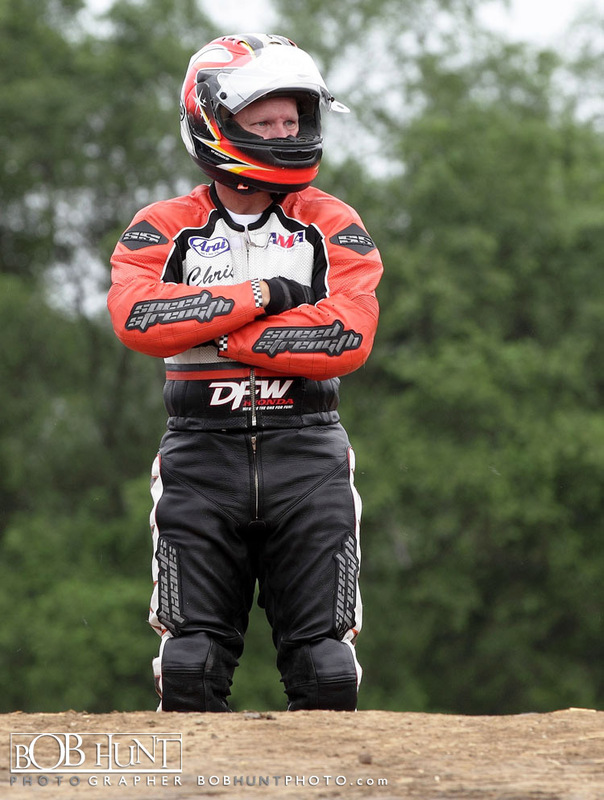 His seven-race win streak is second only to Chris Carr’s eight wins in a row from 1988-1995. 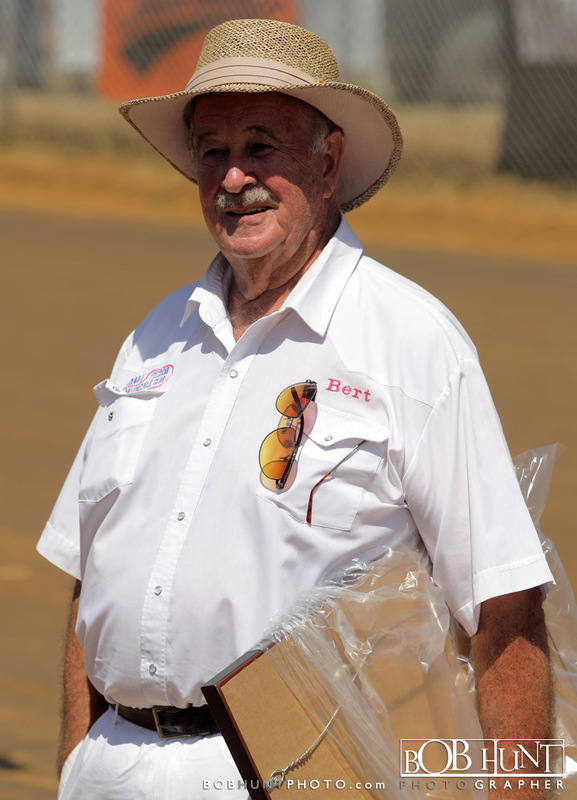 And it’s tied for second on the all-time win list with Joe Leonard, who won seven TT’s between 1953 and 1961. 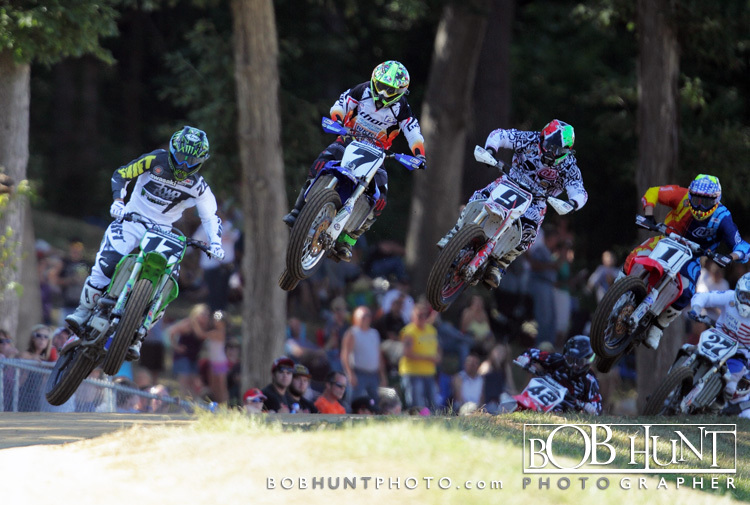 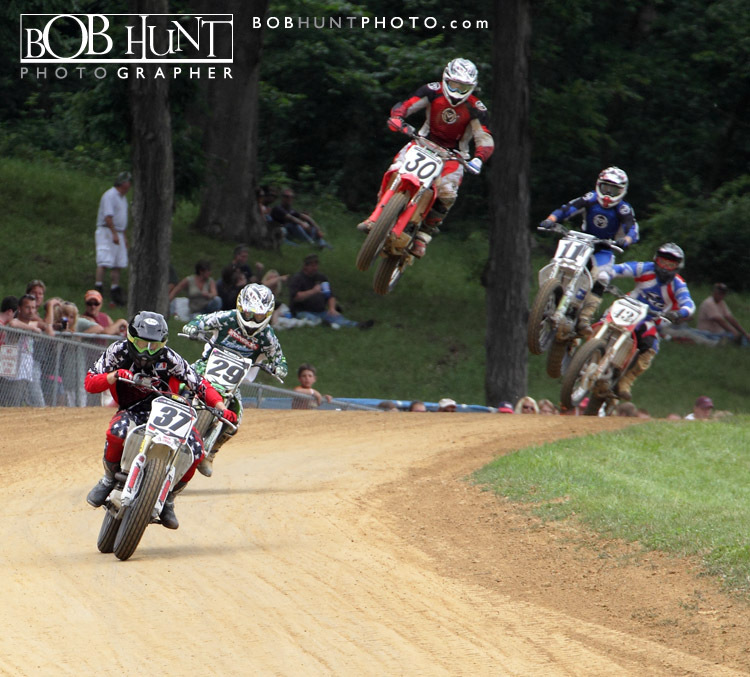 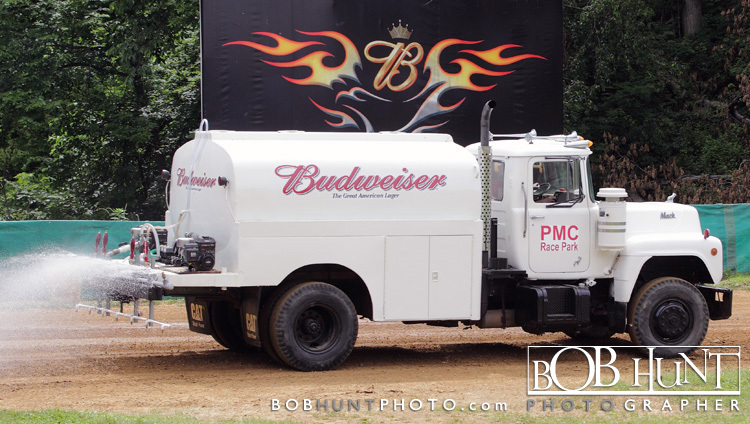 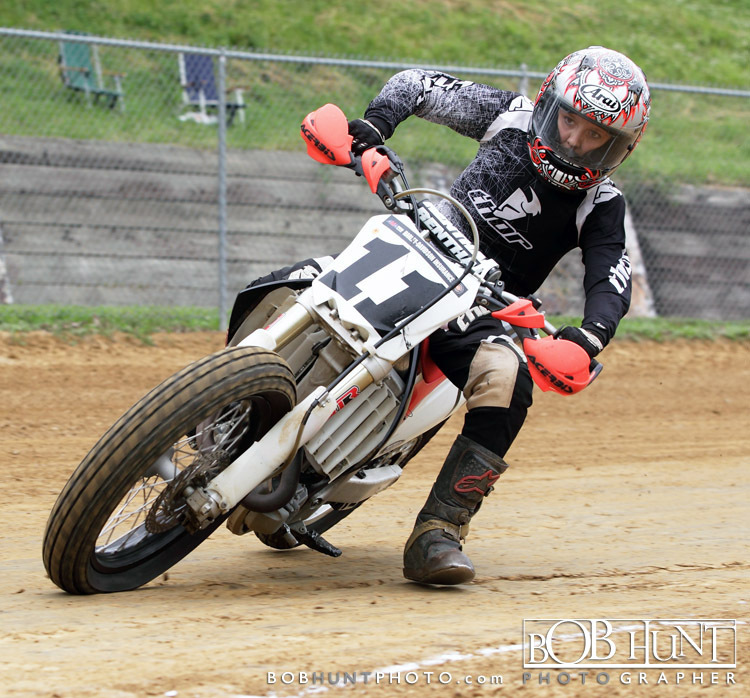 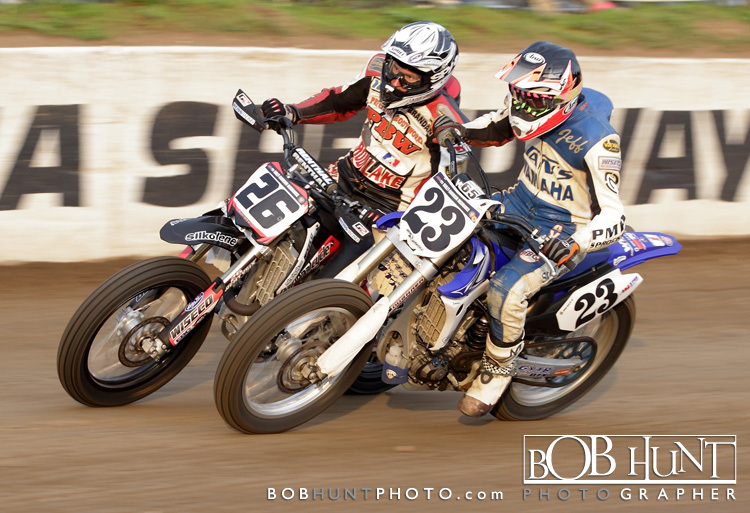 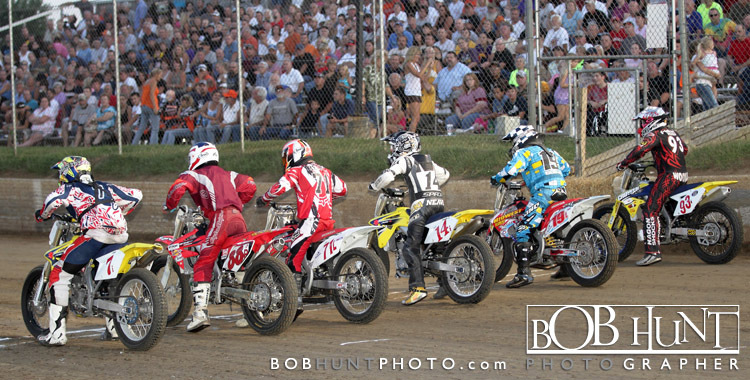 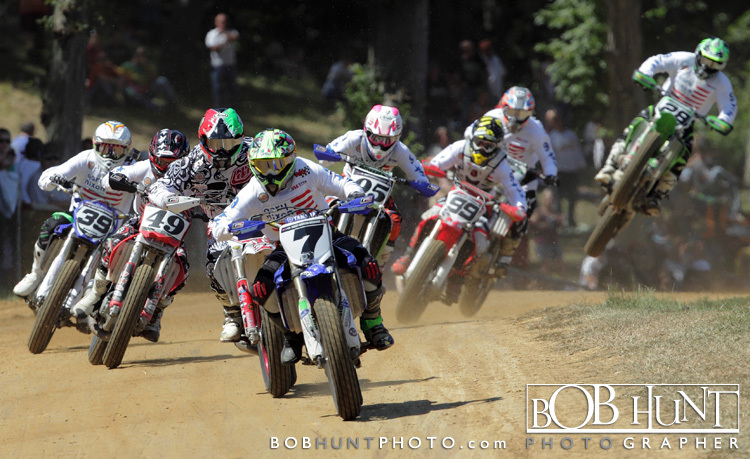 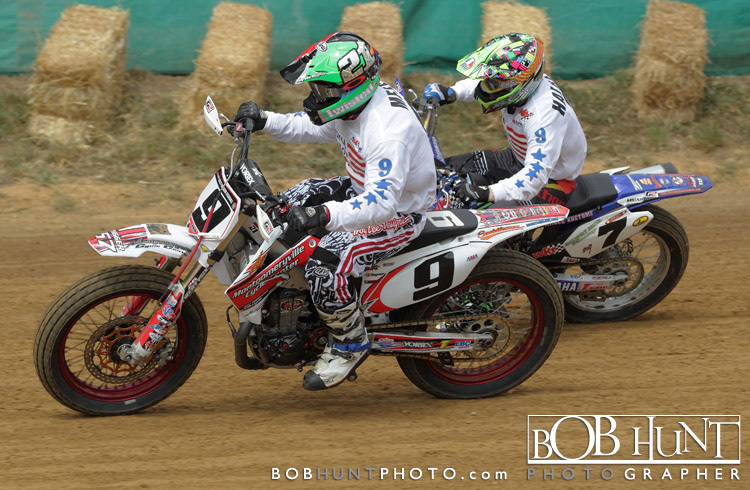 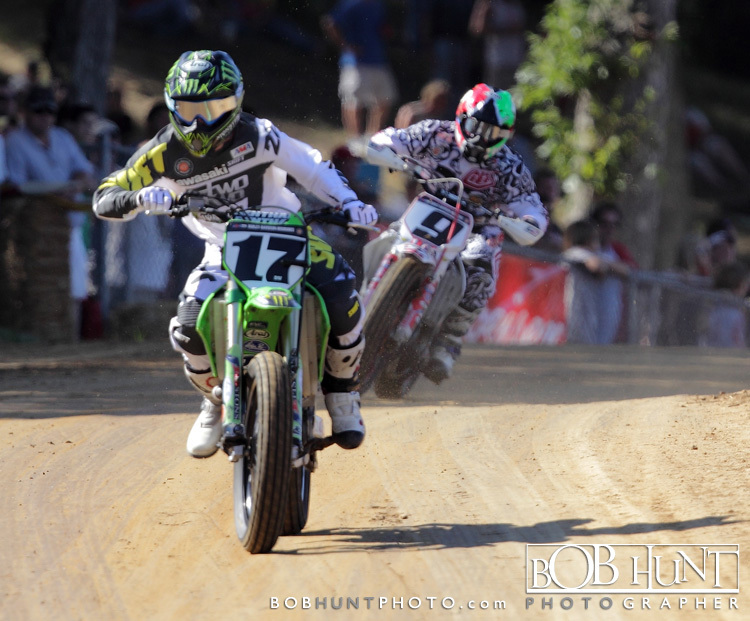 Carr, who finished sixth in his final Peoria TT, has won the August Grand National race a record 13 times. 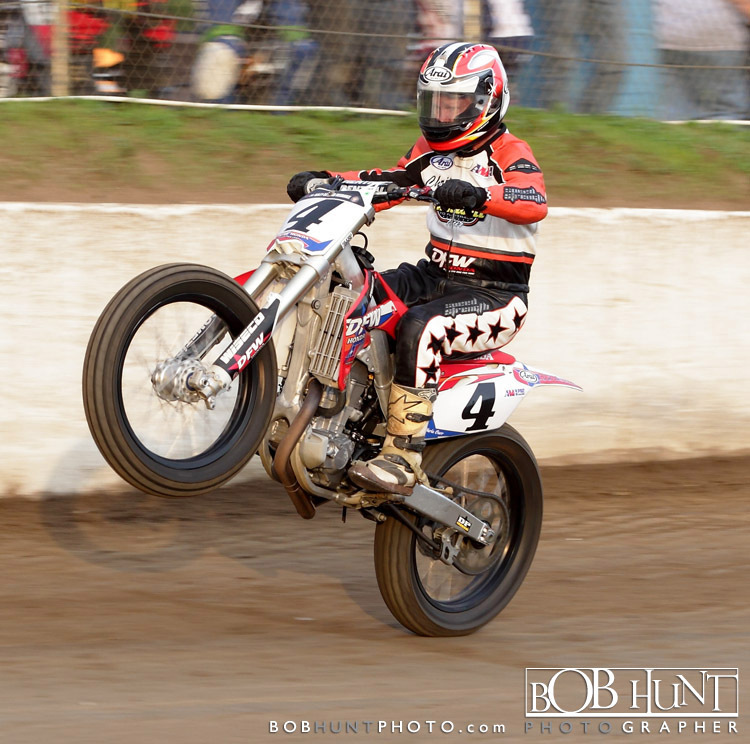 Jared Mees finished second 1.59 seconds behind Wiles, Sammy Halbert finished third while Jake Johnson took fourth place and Morton, IL rider Rob Pearson was fifth. 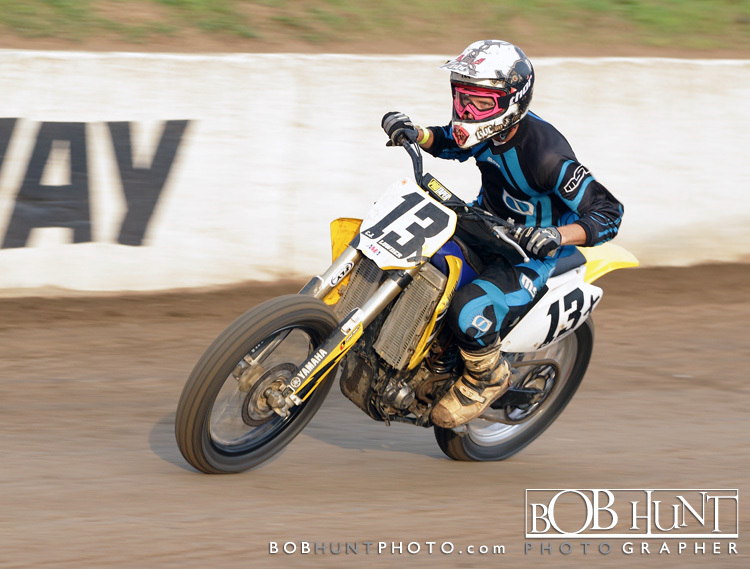 Most of the riders wore special Gary Nixon jerseys to commemorate to death of the AMA Motorcycle Hall of Famer. 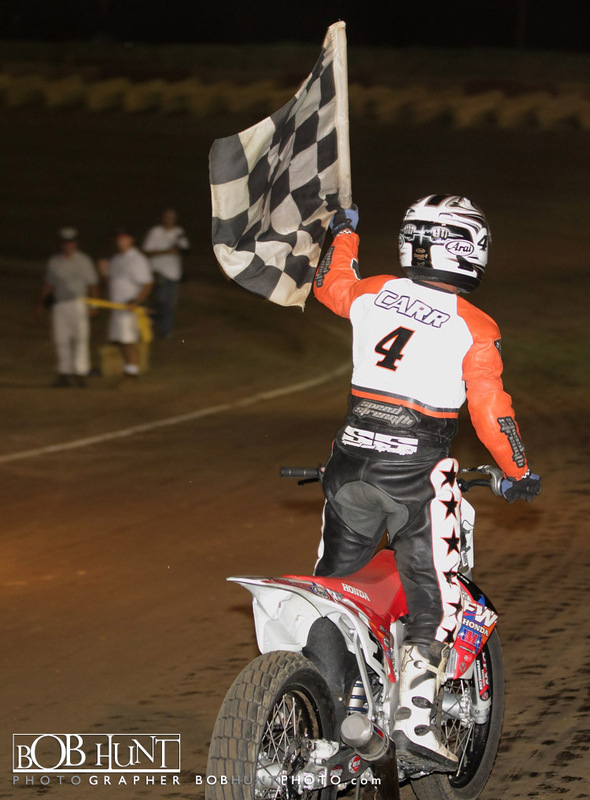 It was like a well written Hollywood movie script as Chris Carr won the main event at Peoria Speedway on his Farewell to Flat Track Tour. 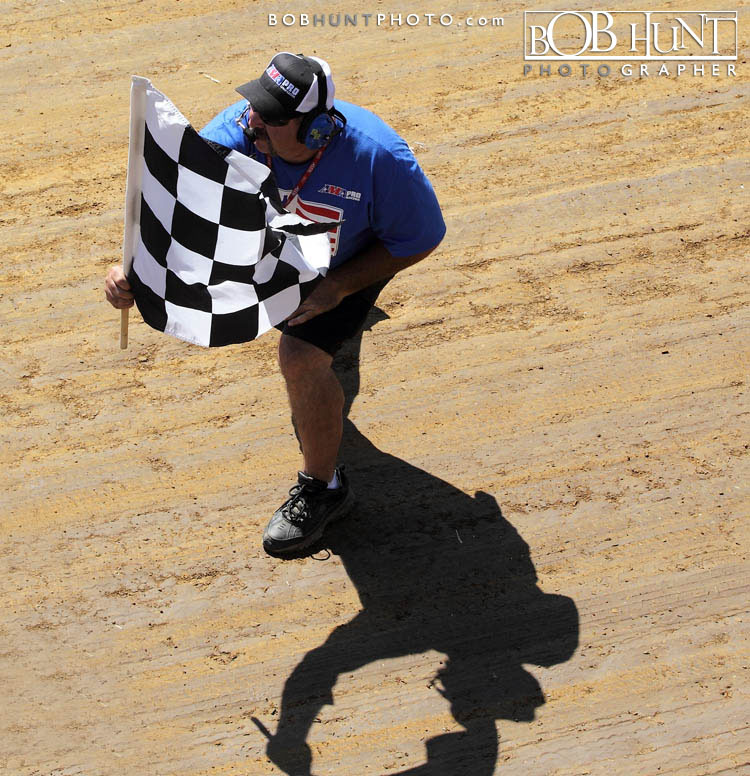 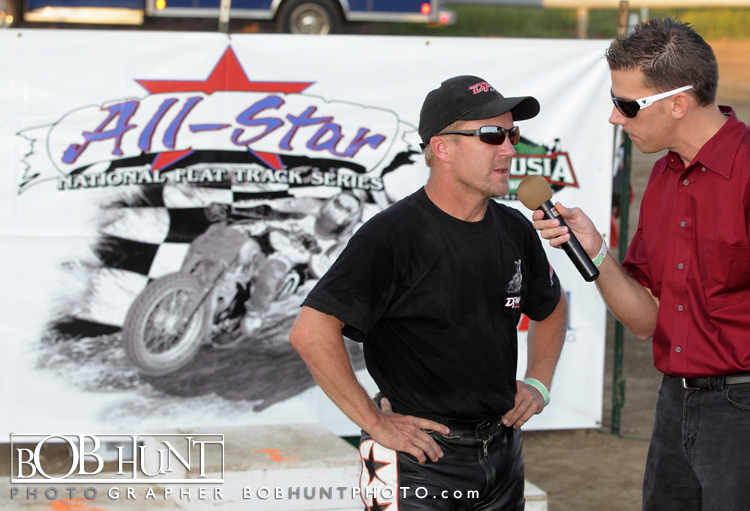 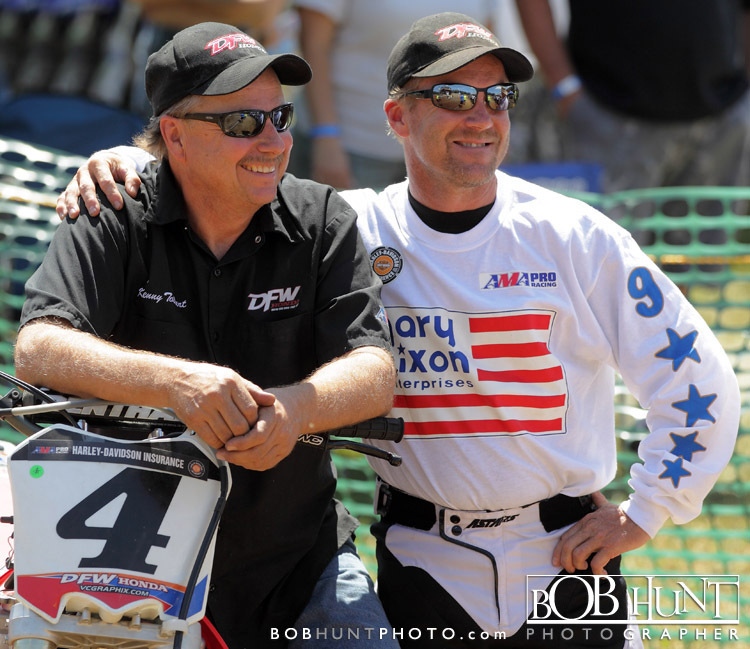 The 44-year old seven-time AMA Flat Track champion battled Sammy Halbert and edged him at the finish line. 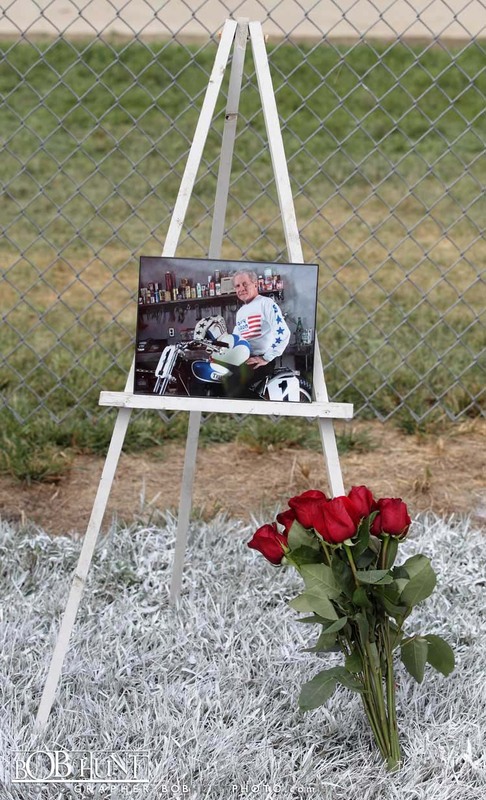 Carr, nicknamed the “Prince of Peoria” for his 13 wins at the Peoria Motorcycle Club. 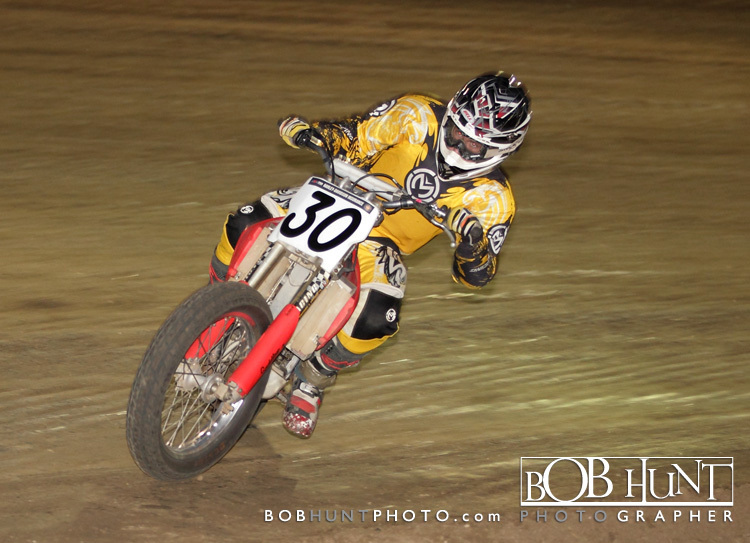 Finishing in third placewas Jared Mees from Clio, MI. 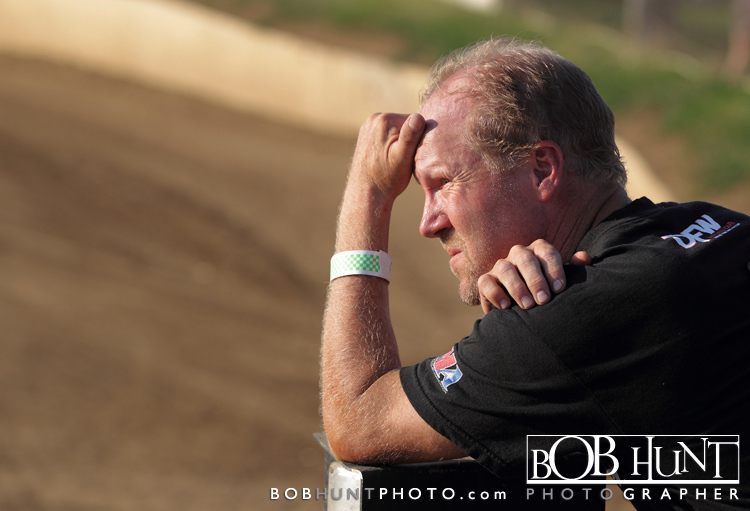 Chris had not won a race in Peoria since 2001. 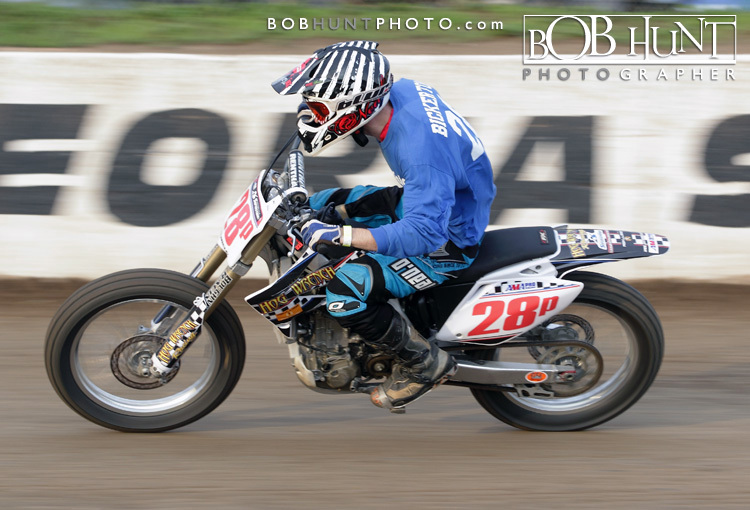 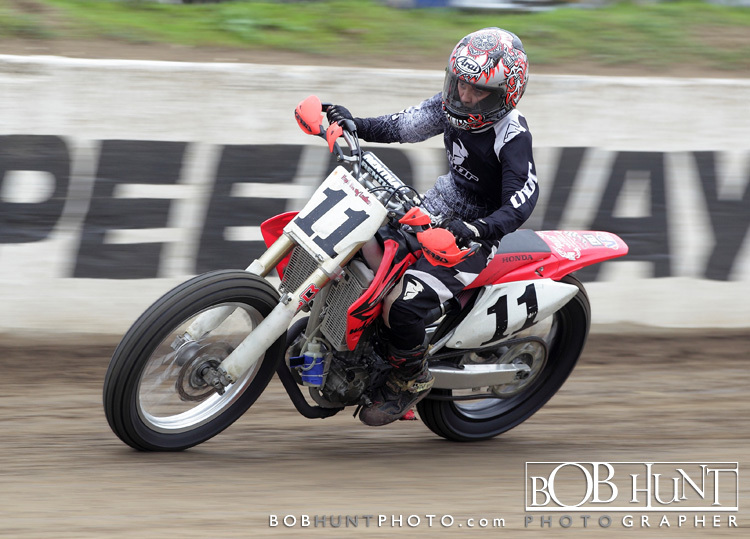 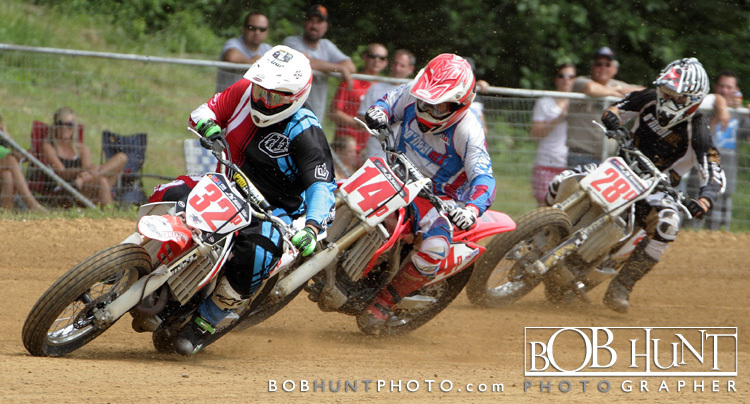 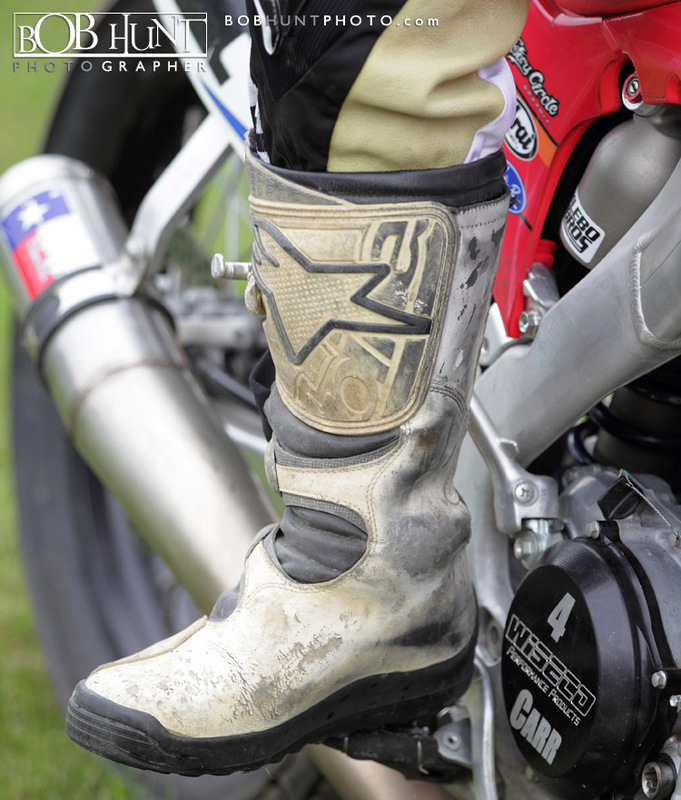 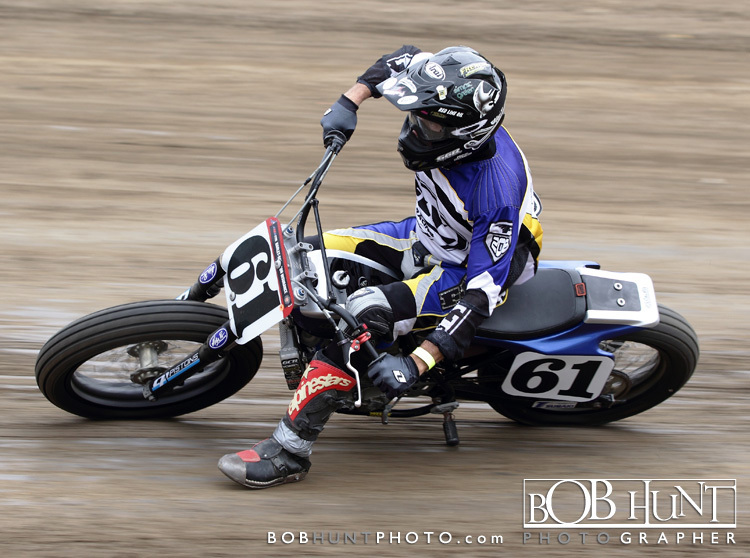 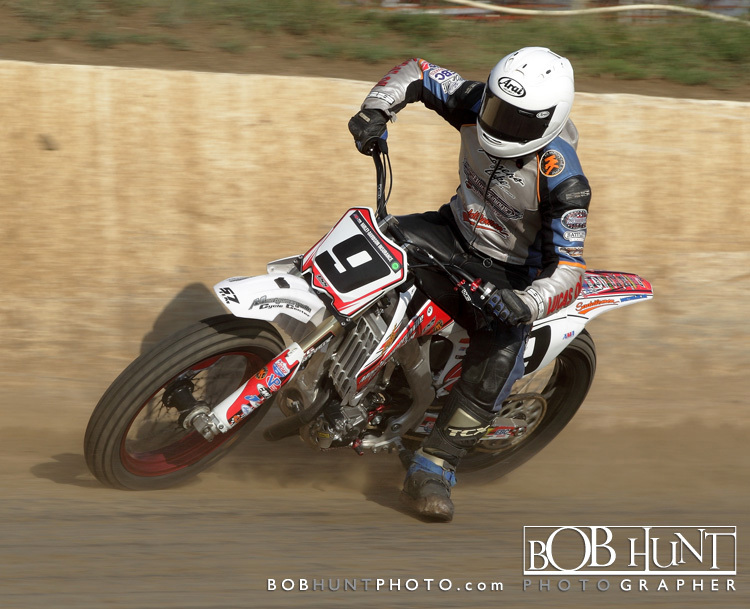 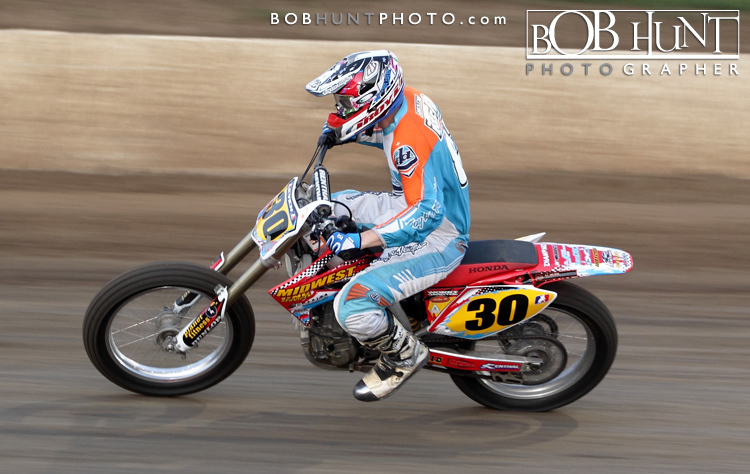 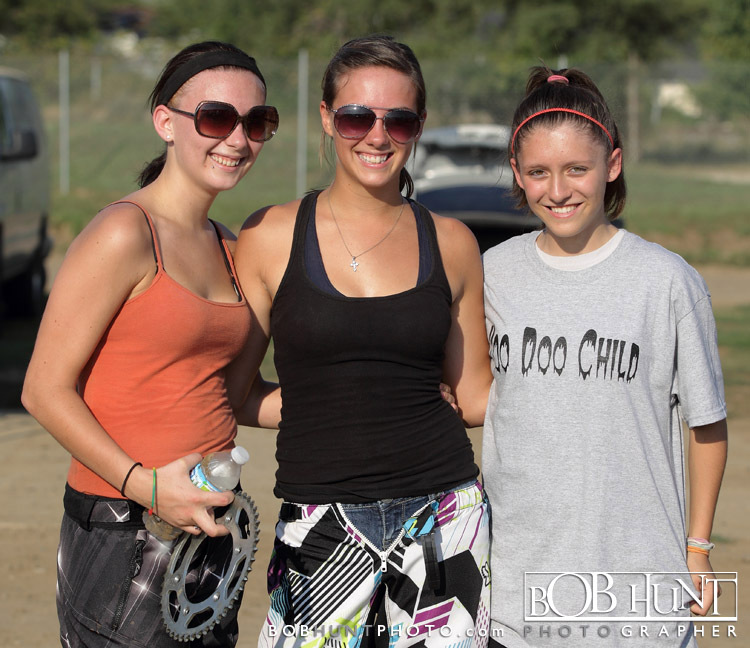 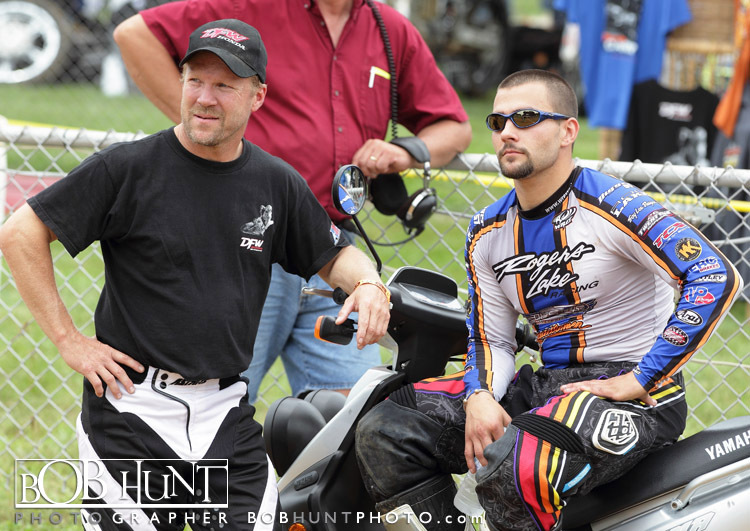 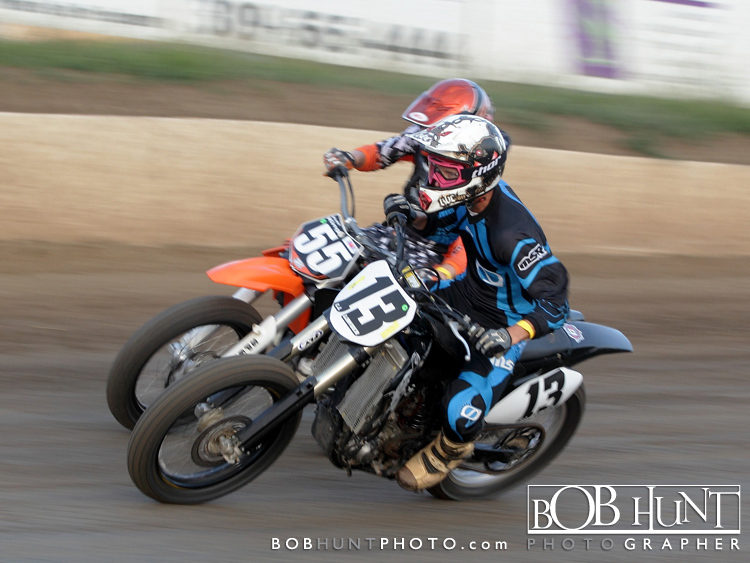 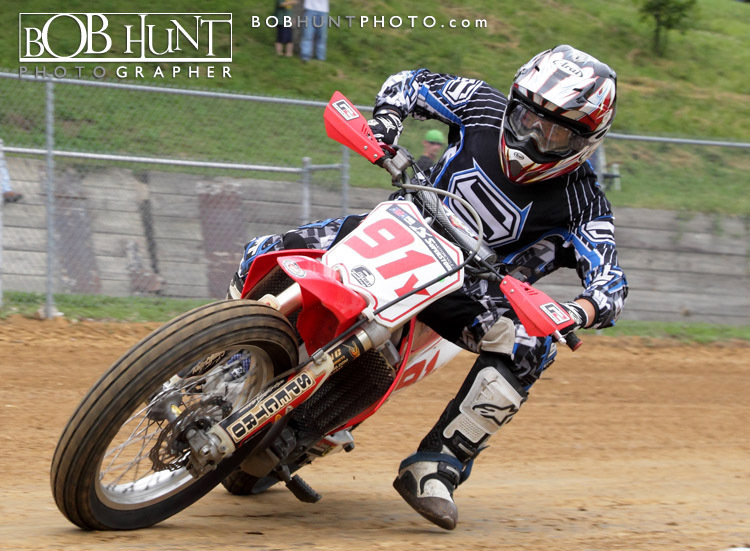 This is his final season and Sunday at the Grand Nationals will be his Peoria TT race. 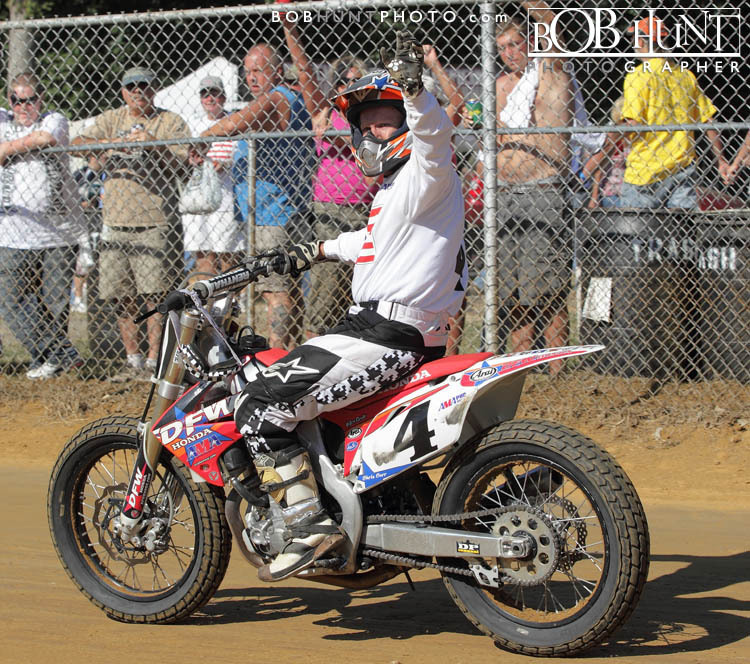 His wife Pam rode on the back of his bike as he took his victory lap saluting all of the fans who gave him a standing ovation. 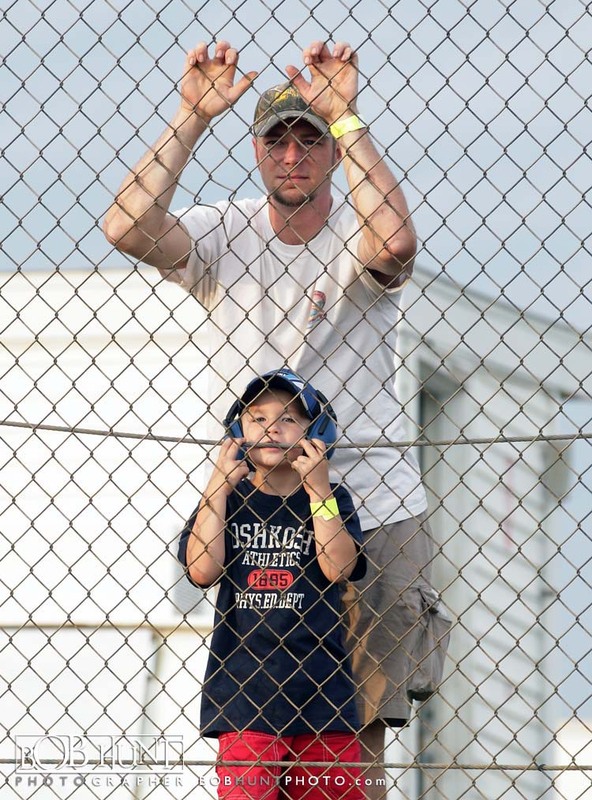 The two met in Peoria in 1994 and our the proud parents of two young sons. 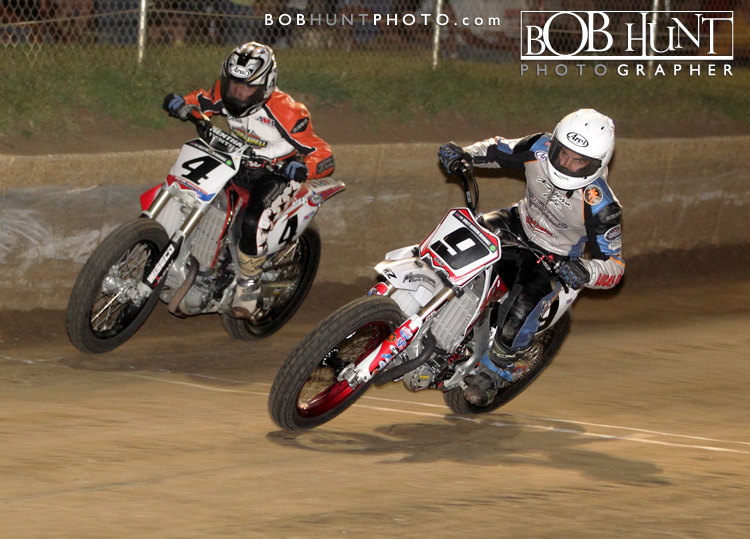 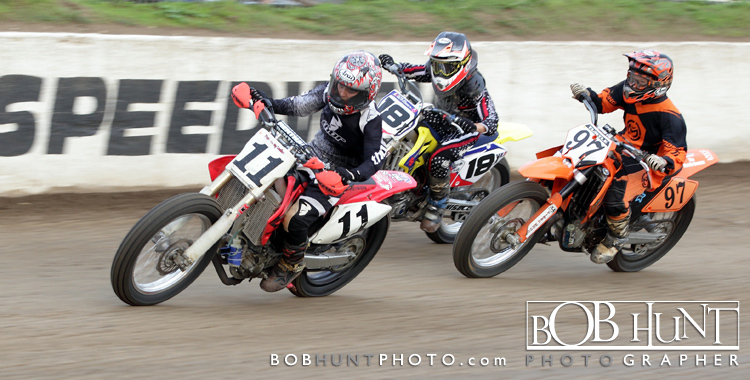 Michigan Pro Jared Mees held off Brad Baker of Chehalis, WA and Rob Pearson of Morton, IL to capture the All-Star Nationals Flat Track main event at the Peoria Motorcycle Club. 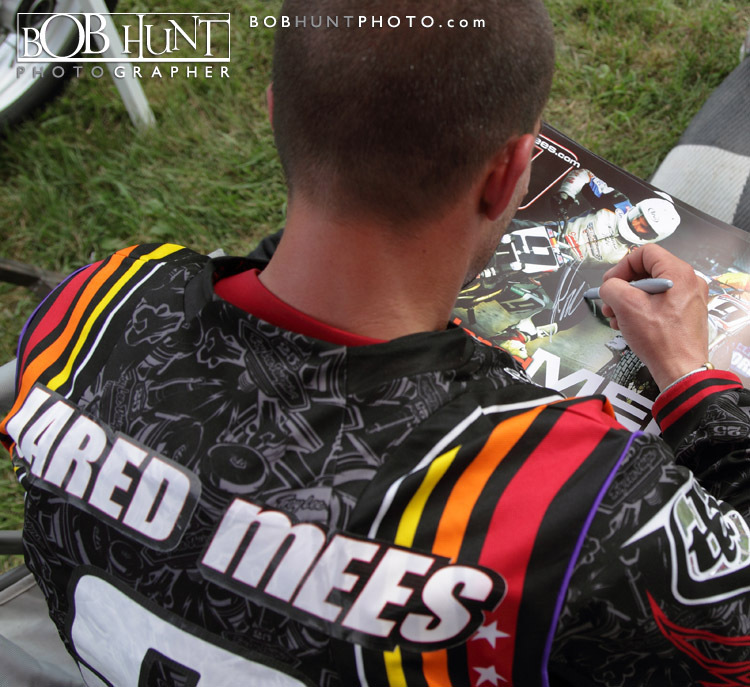 The win was Mees’ fourth in the last three weeks. 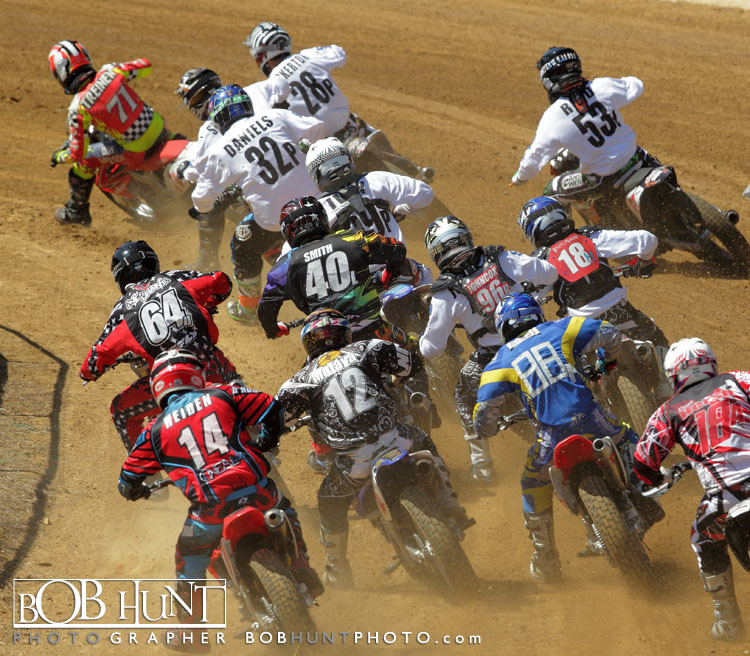 Here are the results from the other classes at Thunder Valley on Sunday. 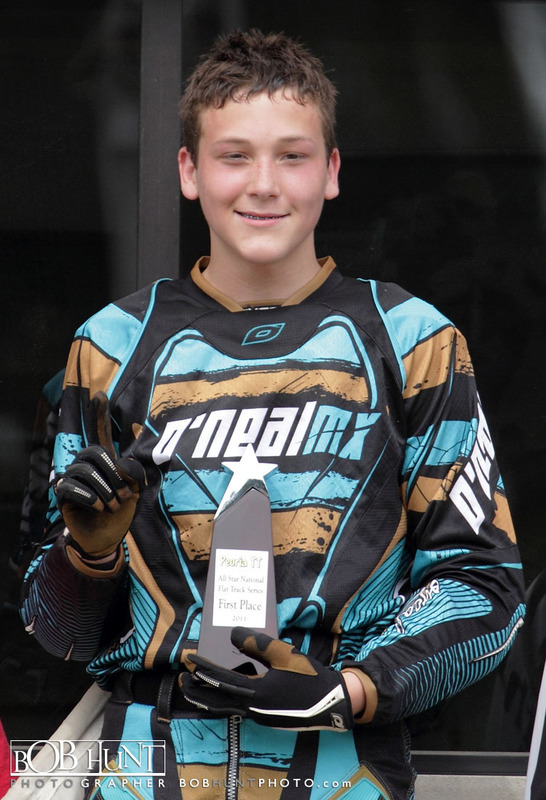 Mikey Martin of Acampo, CA won the Pro Singles race, Galesburg rider Mike Caves won the Vintage Twins main event and Cole Anderson of Cambridge, MN took the 450 Amateur race. 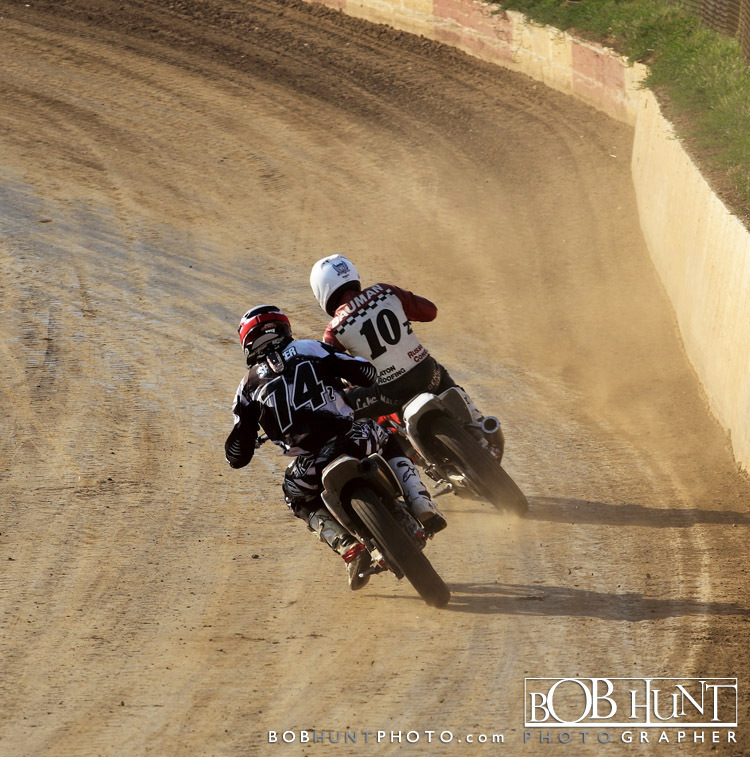 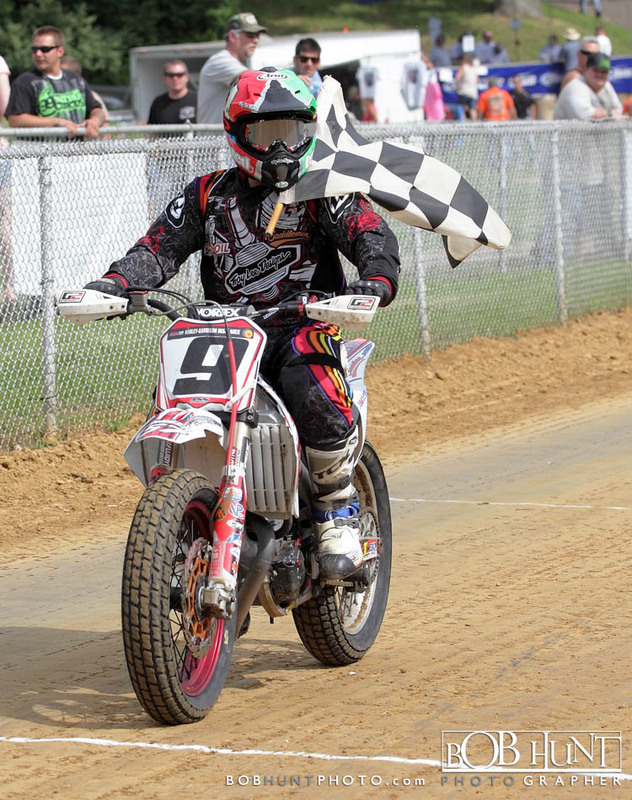 Jared Mees won the Expert Singles division in the All-Star National Flat Track Series event, besting 19 year-old Brad Baker and seven-time Grand National champion Chris Carr. 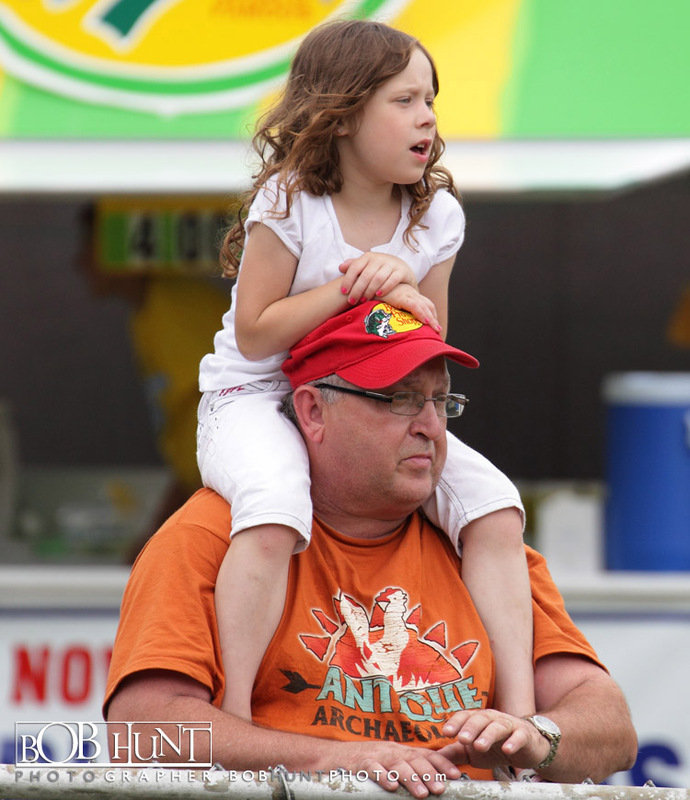 Matthew Weidman of Westerlo, N.Y. was fourth and Rob Pearson of Morton was fifth. 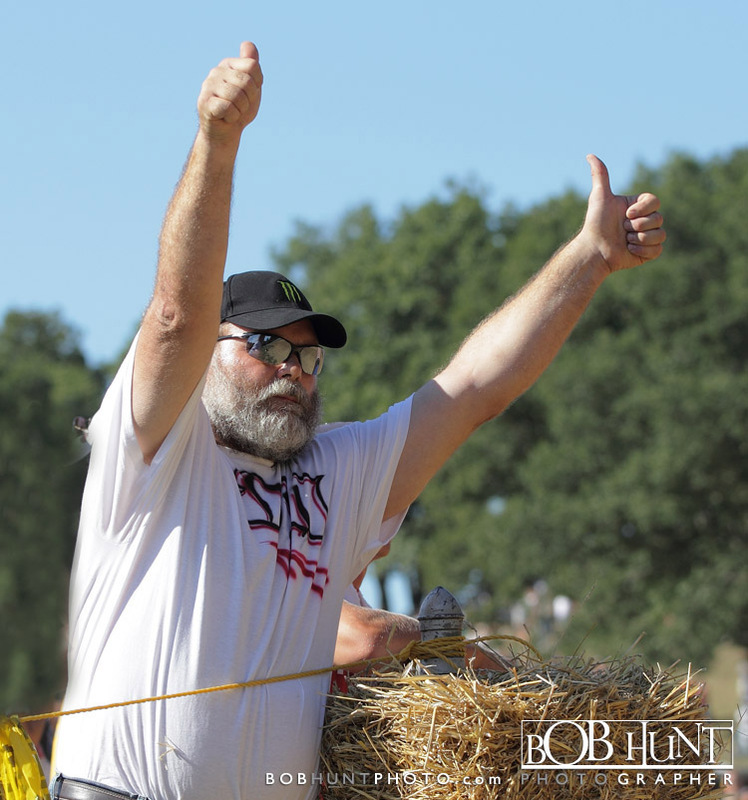 Michael Avila of Madera, Calif., won the Pro Singles race over Dustin Cassidy of Walnut and Adam Bushman of Oak Creek, Wis. Richard Kent of Galesburg beat Tony Watkins of Mount Pleasant, Iowa, and his brother, Lance Kent, to win the Veteran 30-plus race. 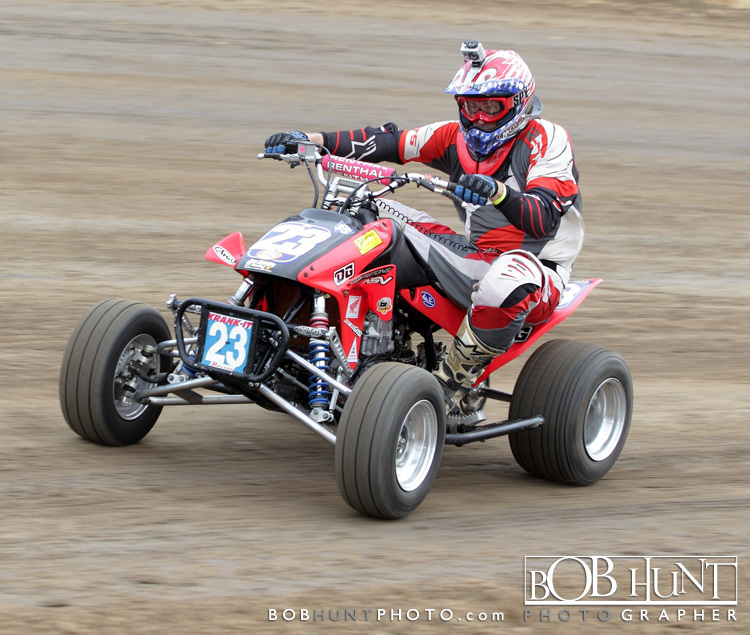 Brandon Shelstad of Gillette, Wyo., won both the 450 Open Amateur and 450 Amateur classes. 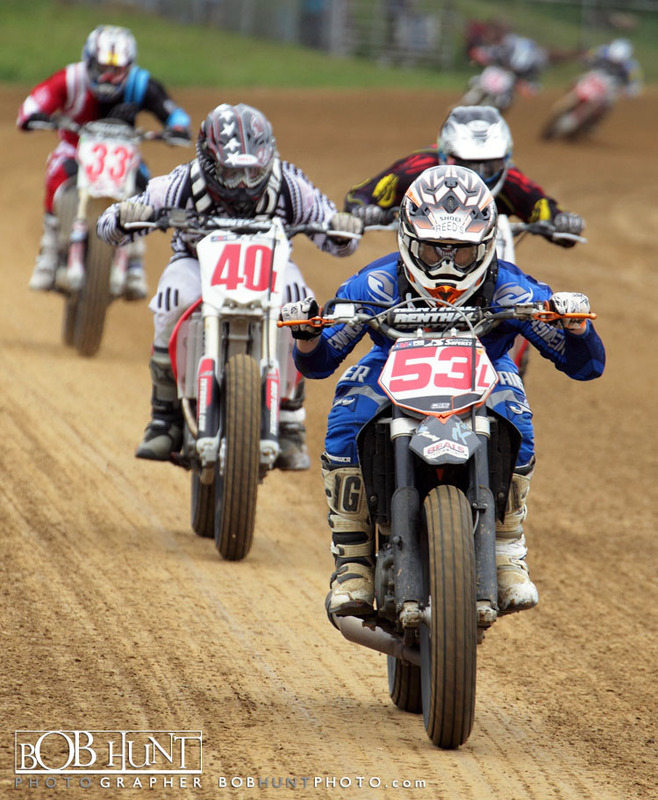 Steven Sandoval of Abingdon was second in both races. 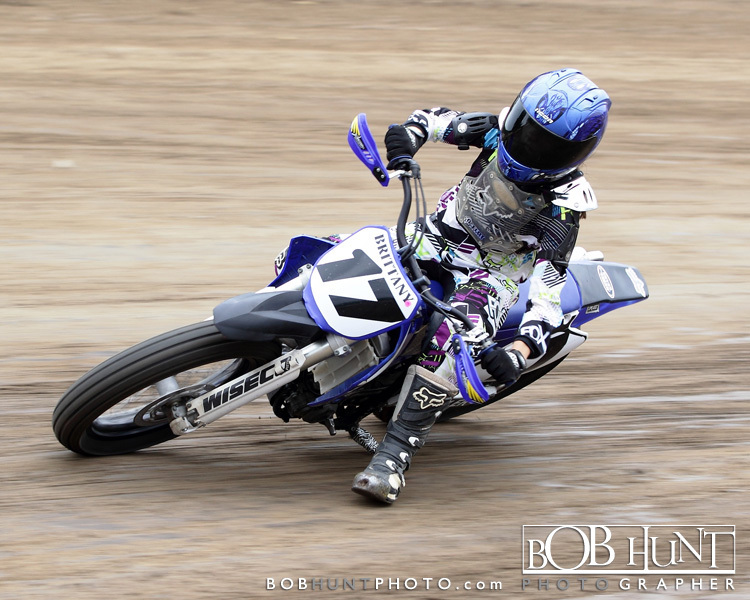 Fourteen-year-old Molly Terry of Creve Coeur won the 250 Amateur class over Cody Kent of Galesburg. 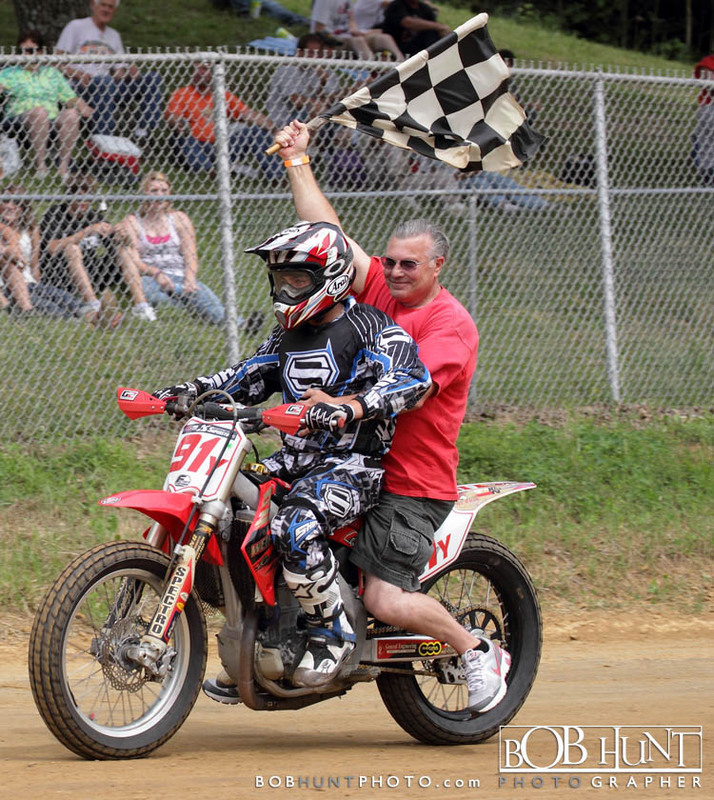 Jim Monegan of Twisp, Wash., who is 67 years old, won the Open Vintage race and 41-year-old Marc Noreuil of Delavan won the Open Quads event.